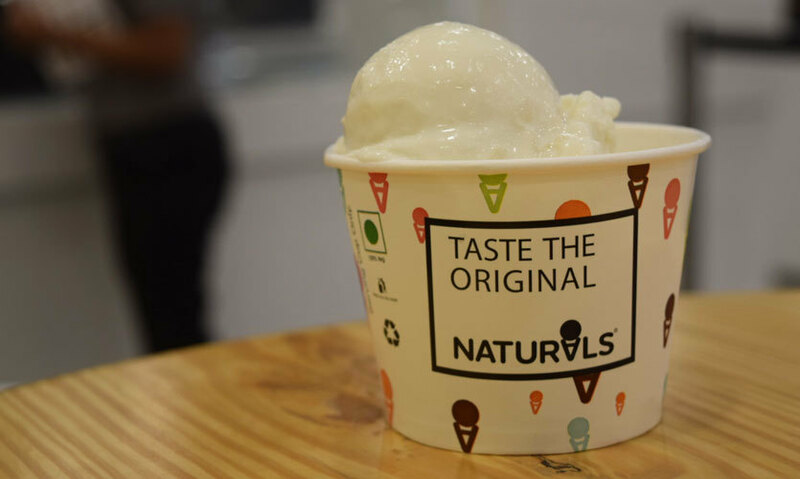 Creamy, Scrumptious & Out Of This World: These Are Our Fav Flavours @ Naturals In Lajpat! Fruits. Milk. Sugar. These three ingredients are said to have propelled this brand into the museum of greats and Naturals, with much pomp and ardour, finally launched their new outlet in our very own bustling market of Lajpat Nagar! Naturals is every bit legendary as it seems. From 1984, when it started operations in Mumbai to its 5th outlet in Delhi, the love for this particular brand has only increased manifold! We count ourselves die hard loyalists of this particular ice cream chain. 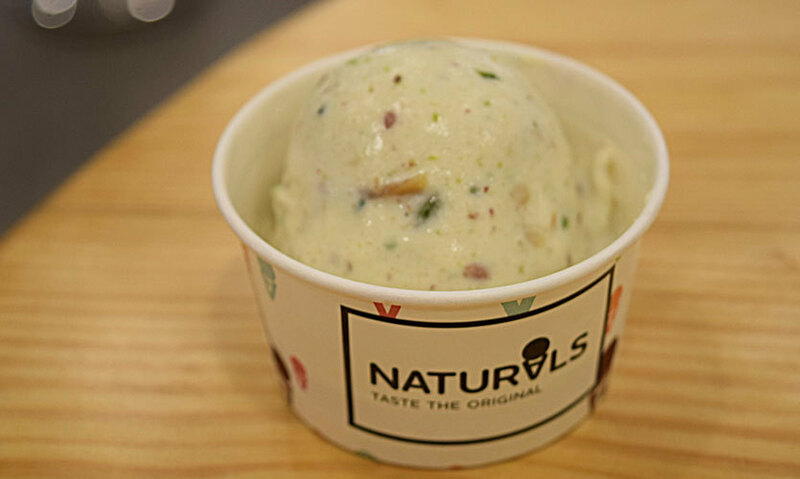 The flavors served at Naturals are as different and as quirky as can be! From Chikoo to Sitaphal, from Coconut to Shrikhand, from Jamun to Mango, Naturals has embodied quintessential Indian fruits into a product that we can’t live without! And now, Lajpat Nagar is the latest neighbourhood to have achieved the distinction of serving everyone’s favourite. The Naturals store in Lajpat is the first corner shop, right next to the Lajpat Nagar Metro Station. With its huge and lively interiors, this might be one of the coolest places to hang out in all of South Delhi! 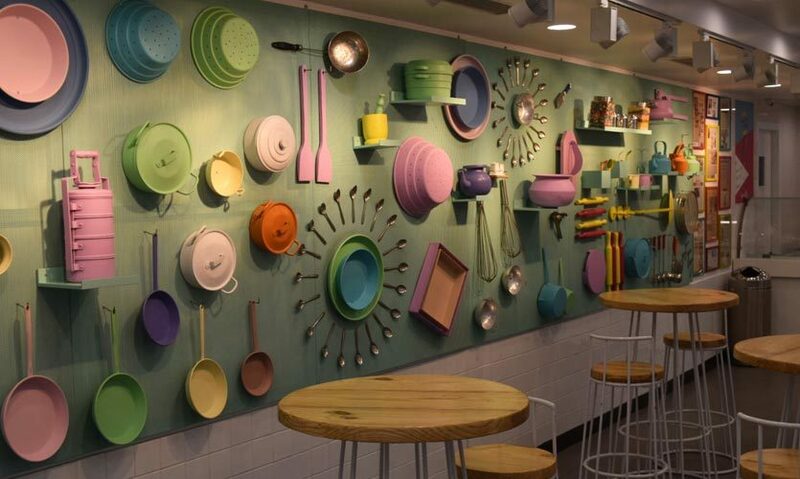 Even the theme of the outlet, Mom’s Kitchen, is as inspiring as their almost 20 varieties of delicious ice creams. We now lay down our defences to gorge on 5 of Naturals’ best kept secrets! Very commonly known as the custard apple, who would have thought that this slightly less famous fruit would one day sell like hot cakes in the form of an ice cream? With large chunks of the fruit in every bite, who would ever say no to this beauty?! We simply licked away to glory (as usual)! This is one of their latest creations and according to us, needs to be included in their permanent menu as well! Made with dates, cinnamon, pistachios and honey, every bite transports you to Arab cafes emanating that sinful, heady aroma. We recommend you to have this flavour today! We all know the fruit. And we presume all of you must know the ice cream too?! If not, then it’s a disservice towards Naturals! 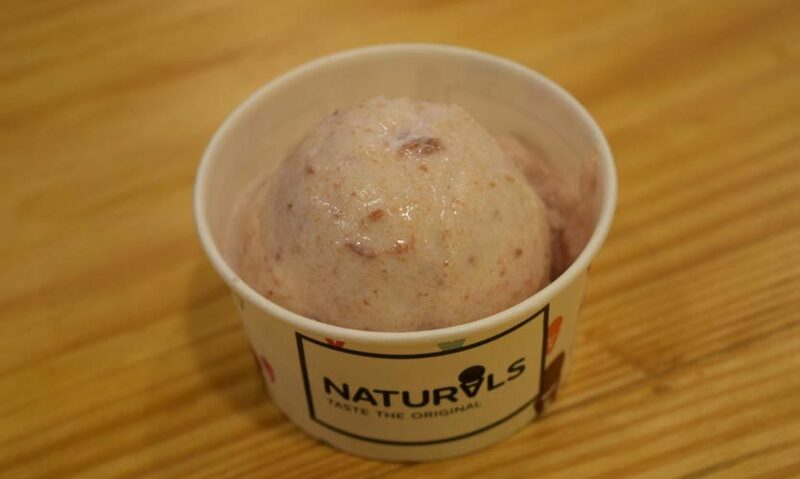 The highly flavourful Chikoo ice cream will always make it to our list of must-haves at Naturals. Come on over and dig in! How can we talk about fruit ice creams and not mention Mango even once?! 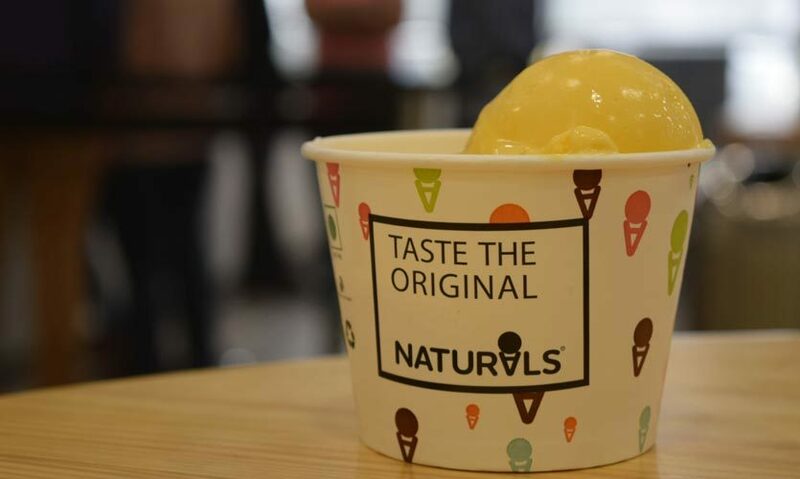 Made with freshly procured Ratnagiri Alphonso mangoes, this flavour is nothing like the commercially made mango ice cream by ice cream conglomerates. The flavour will make you a total fan with just a single lick! Owing to the festivities of Diwali and the tradition of gifting sweets, Naturals has launched the Shrikhand flavour with every ingredient intact! Yummy, crunchy dry fruits in every bite, you folks are gonna love this one to the core! 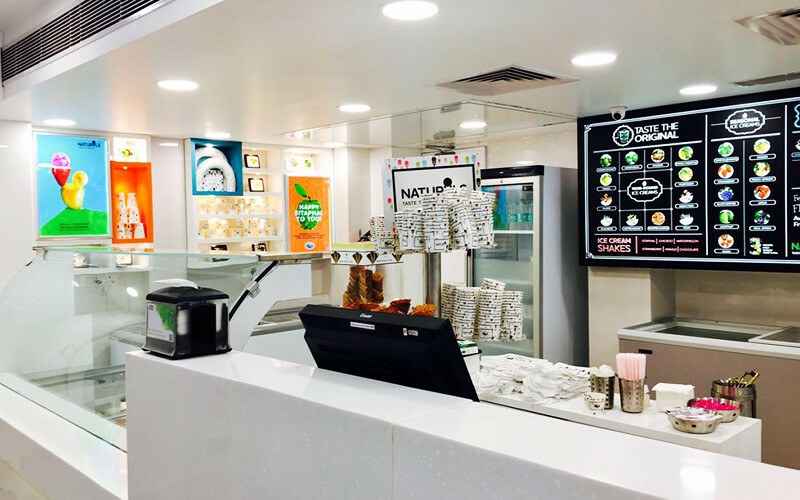 So people, no more lazing around as Naturals is as near to you as ever with its latest outlet in Lajpat Nagar. All the men and women shopping, children crying, teenagers hanging out in nearby areas, go and get your dose of Naturals today!